Posts about things that pertain to my life and the things around it. 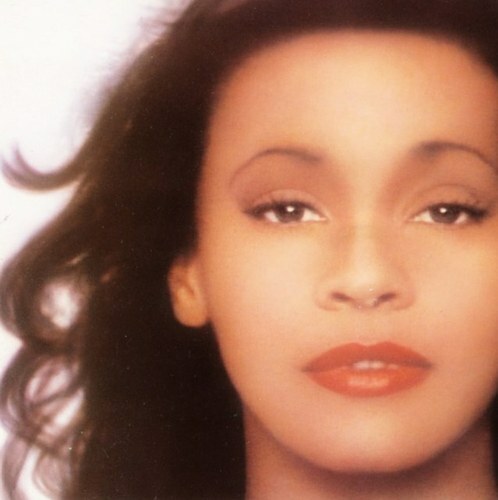 Last Saturday the music industry, this nation and the world lost an icon—Whitney Elizabeth Houston. Rest in Music, Whitney. 1963-2012. I’ve processed this all week and I want to put a few of my thoughts into words and then let her music speak for itself. She was and is “the voice” as Oprah said. Houston had the ability to not only take her music but others and make it her own. Houston’s voice had it’s own frequency—a beautiful frequency. As a child of a nineties, Houston was already extremely successful when she was introduced into my life. Thanks to my mom, The Preacher’s Wife, The Bodyguard and Waiting To Exhale were on my television often. For me, Whitney is one of those individuals in the entertainment industry that will forever be timeless—Like Marilyn, Michael, Elvis, or Farrah. Some say she was on the verge of a comeback from her trials and tribulations. I say she came back. God guided her through the tough times. She released a new album, I Look To You, in 2009 and still had that great gospel, R&B and pop feel to her voice. She starred in the remake of 1976’s Sparkle, which will be released this August. Moreover she looked healthy and happy. Today’s home going brought a sense of closure. It gave the world a view of the person who was Whitney. Just as she impacted the world while she was on earth, she impacted us in her passing. Whitney brought church to national television through her home going. Lastly, Whitney had a strong faith and I know she is gracing that gospel choir in the heavens. I want to send prayers and good thoughts to Cissy, Bobbi Kristina, Dionne, Bobby (Because they shared a love and will always have “Something in Common”—a daughter. Just because they divorced doesn’t mean they lost complete love and respect for one another) and anyone her gift touched. Joshua’s Note: Thank You Whitney For Touching Our Lives With Your Godly Gift. Maybe Christina should be running TNT. Yesterday, Friday September 2nd, the network announced it would not renew the medical drama HawthoRNe. The show wrapped its junior and final year this past August with a series of loose ends. Ends that I hope will be answered in another network picking it up—USA perhaps—or a two-hour a movie of some sort. What happened to Nurse Candy and her baby? What’s up with Ray and Dr. Marshall’s on/off romance? Is Camille going to college or staying home? Who is this wolverine guy Renata was so weary of and what was with that ring? HawthoRNe and Wakefield’s divorce, did they go all the way through with it? Bobbie’s getting married and we won’t see it? Will Bobbie and Steve go to London? What the heck happened to Erin? Did Isabelle ever get her act fully together and baby Moses back? Dr. Marshall gets custody of her niece? That came out the blue. Now with all these questions, I want to close out this Unscripted Observation with Jada Pinkett-Smith and her alter ego Christina HawthoRNe. Three years ago, on June 14, we first met this widow and mom Christina HawthoRNe. She was dealing with the death of her husband, her overbearing well-to-do mother-in-law, and a rebel daughter. Through all that HawthoRNe found comfort in doing what she loved nursing. Three years later, on August 16, the last image of HawthoRNe I and the entire #TeamHawthoRNe fan base are left with is a woman who has been through the pits of hell. She has been assaulted, lost her baby, lost her job, was in the process of losing her second husband, and lost her—well I’m not sure what Marc Anthony was but she lost him too. Now I’m left guessing. Guessing that things in season four would have turned around for the nurse. After all she was offered a high ranking job at the hospital which she took. As for all the other loose ends I’m forever going to speculate. Maybe I am just too attached to this show. Maybe I just want answers both on the show and why the series was canceled. I have yet to find an explanation. There is petition and facebook page to revive the show. Maybe if enough fans perform CPR we all will be back on the edge of our seats every Tuesday. After all fans brought “The Game” back into overtime when it was canned by the CW. Hey everyone…if you don’t know Hawthorne will not be returning for another season. I want to say thank you to all the fans for being Hawthorne soldiers. All our facebook fans…twitter soldiers and viewers…you held us down. Of course you know there is more to come…believe it! This JPS fan is sure “there is more to come” from this talented lady. I would love to say it’s more HawthoRNe but whatever I cannot wait to see. *Update: According to rollingout.com the show was cancelled due to low ratings with a drop to 2.4 million from 3.4 in season two. #TalentedThursday: Aaliyah, Gone But Not Forgotten. Normally, these posts are about up and coming talent. Also I post them on a Tuesday. Hence the name (and hashtag) #TalentedTuesday but this is a special #TalentedThursday. Today marks the tenth anniversary that the world lost an incredible talent—Aaliyah Dana Haughton. This #TalentedThursday is for a songstress who’s life was cut way too short. The artist died in plane crash, after shooting the video for her song Rock the Boat, on August 25th, 2001 at the age of 22. This unscripted observation is to remember the singer through what she left us, her music. Click the image to see more videos. In a reflection piece, posted on CNN.com, Missy Elliott remembers her friend. Today is the 10 year anniversary of Aaliyah’s passing and I’m sitting here reminiscing and playing music, thinking of the times we spent together, working, laughing, singing, dancing, cutting up. But really, it’s not all that different from any other day because I do think about her every day. Not on purpose, but she is my friend and that’s just how I do. I’ve told the same stories for 9 years – how we met, how me and Tim were scared but Aaliyah was so welcoming and had this smile and way about her that put us at ease, that she liked to take chances and we were able to just be who we were and make good records together. She loved playing jokes and that’s another part of her personality that made it fun to be around her. As a talent, I think she’s missed because she was unique and a true triple threat. She could sing, dance, and her acting was starting to take off. I’m glad for the memories I have and the time we got to spend together, but I miss my friend. Rest In Peace and Power Baby Girl. Josh’s Note: Rest In Peace to one of the most talented women to grace the world of R&B. Through your music you live on. Thank you. Aaliyah Dana Haughton, truly one in a million. January 16, 1979 – August 25, 2001. No, this #TalentedTuesday is not about me. It is about Joshua Bolden, the actor. I came across this Joshua while doing a name search for myself to see what perspective employers would see. I was surprised to find there is a performer with whom I share the same name—down to the initial. He is Joshua Levi Bolden and I am Joshua Lewis Bolden. Joshua Levi is a triple threat as an actor, dancer, and singer and is paying for what he wants in sweat. He portrayed Jess Meriwhether’s brother Darius in the television series Friday Night Lights (which won 2011 Teen Choice Award for ‘Best Program of the Year’) and has taken the stage in several musicals. Most recently he starred in Twist. The musical was directed by the lady who inspired #TalentedTuesdays, Debbie Allen. In addition to Twist, Bolden has performed in the Wizard of Oz, The Wiz, and Chitty Chitty Bang Bang. Click here and listen to Josh sing Beat Goes On presented by Simmy Music and watch his reel below. Whether performing on television or on stage Joshua likes them both for different reasons but if he had to choose he would take the latter. “If I had to pick it would be on stage because of the immediate reaction,” Josh told me on Twitter. Besides performing on stage and television the twelve year old likes to travel, play the guitar and when the time arrives he wants to attend Harvard University. I do not know if we are related somewhere down the line. It would be mind-boggling if we are. I do know, from his reel alone, this young man is talented and is working hard at his dream. Joshua Lewis’ Note: I think it would be fun for the Joshua L. Boldens to sit down for an interview. I don’t know when or where but some time in the future it has to happen. One of the things I learned the hard way was that it doesn’t pay to get discouraged. Keeping busy and making optimism a way of life can restore faith in yourself. One-hundred years ago today a star, who would bring laughter to millions, was born. Desireé Eveyln Hunt and Henry Durrell Ball gave birth to actress Lucille Desireé Ball on August 6th, 1911. Ball would grace the silver screen as a MGM starlet, take the airwaves as a radio comedienne and the tube as Lucy Ricardo. Lucille Ball would have turned 100 on Aug. 6, and it would seem that Americans have loved her for nearly that long. But in fact, it took years for audiences to love Lucy. She had been kicking around Hollywood for nearly two decades before her performance in the seminal CBS sitcom “I Love Lucy,” which celebrates its 60th anniversary this year. Her portrayal of the sweetly daffy redhead Lucy Ricardo, whose slapstick antics and schemes exasperated her Cuban bandleader husband, Ricky (real-life hubby Desi Arnaz), turned her into a comic superstar. Lucy knew she had the ability to make others laugh, her daughter, Lucie Arnaz told the LATimes. Ball would go on to star in four other sitcoms, The Lucy-Desi Comedy Hour, The Lucy Show, Here’s Lucy, and Life with Lucy. “I think she would, of course, be extremely honored and proud,” said Arnaz when asked what her mother would think of fans celebrating her centennial. No words can some up the two decades of laughs “the Vitameatavegamin girl ” has provided me. So here is one of my my favorite Lucy moments. How about working in a candy factory? Take a moment to catch a laugh. Josh’s Note: If anyone loves Lucy as much as I do check out her autobiography Love, Lucy. It’s interesting to know the backstory as I watch any thing Lucy now. #TalentedTuesday: Pay For It In Sweat. Well fame costs and right here is where you start paying—in SWEAT! 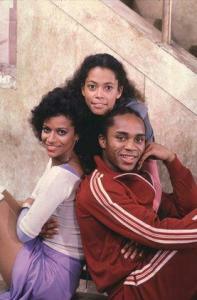 Fame's Lydia Grant, Coco, & Leroy (Debbie Allen, Erica Gimpel, and Gene Anthony Ray respectively). Debbie Allen has never uttered truer words. I think one can apply these words to any field of study, any want, or any dream. You want to be a singer? You have to pay for it. You want to be an actor? You have to pay for it. You want to be journalist? You have to pay for it. You want to be a doctor? You have pay for it. You want to be a lawyer? You have to pay for it. This is idea of achieving one’s dreams by paying for what he or she wants in sweat is the basis for something new I am starting here at Unscripted Observations. This idea is called #TalentedTuesday. Sometimes I come across really talented people and I want to share the things I like about them in more than 140. #TalentedTuesdays could be about up and coming entertainers, someone doing good in the world, or someone with just off the wall talent. I have already stumbled across some individuals who will most definitely be profiled for #TalentedTuesday. I hope my readers will find these individuals as amazing, interesting and as unique as I do. This Unscripted Observation is dedicated to the one and only Cheryl Ann Valentine. After a year of memorable and not so memorable tweets a simple #FF: Cheryl Ann would not have been right. Shoutout to childhood friend Chelcee Halley for which without I would've never stumbled upon my twamiga. If someone would have told me a year ago that I would be writing about a person I’ve never actually met, I would have said “that’s the craziest thing I’ve ever heard” probably would have thrown in a sarcastic glare too. However, KarmenNicole, Beautiful_CAV, missPRETTY_CAV and any future handle she may hold is the exception to the idea. I only see it fit that I go beyond 140 characters for someone who has sent me many a “you’re silly” and “sir” and in return she gets #FFs, cute avatar (which they all are), and an assortment of nicknames. It is a unique friendship—I’m not calling it a twiendship. One can only make up so many twitter words before he exceeds his quota and with words like twam, twamiga, and twitterboo, I think I’m close to exceeding mine. To this day I still have no idea what motivated me to follow KarmenNicole. It wasn’t because she’s sweet, which she is, because I couldn’t see her tweets. It wasn’t because she was a Virgo. I didn’t learn that until months later. It wasn’t because she’s absolutely stunning. Although, she is even in a baseball cap and red t-shirt. Cheryl is the first person I followed who I didn’t know personally who I interacted with on a regular basis (Back during a time when my following didn’t exceed my followees). Whatever the reason I’m glad I did so much so I’ve found old tweets and written this unscripted observation. Cheryl, I most definitely have to put you up there with the others who bring nuggets of entertainment into my life. Thank you so much. You exude intelligence, beauty, and class. You never mence words and do so with tact. I admire and respect that. Why I remember the date? I’ll chalk it up to my journalist memory. So here is to the original ‘twamiga,’ ‘pretty little lady,’ ‘twitterboo,’ ‘ma’m’, or just Cheryl Ann a simple #FollowFriday just would not have done this week justice. Our twitter conversations don't always turn to roman noodles...some are memorable. lol.